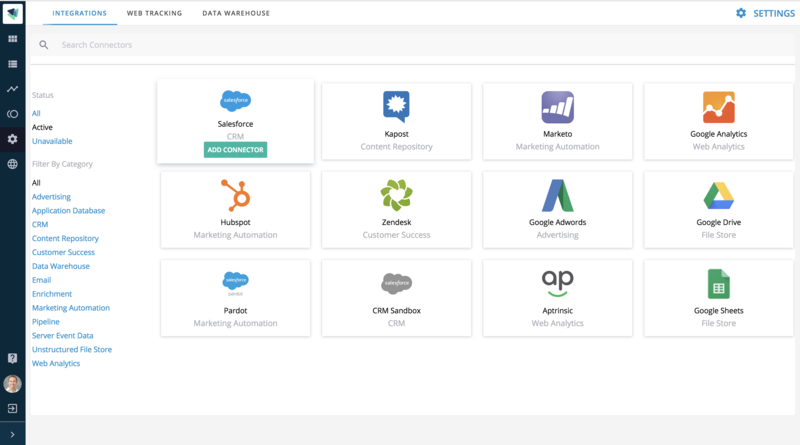 CaliberMind allows quick and easy integration of all your favorite Marketing and Sales systems! Best of all, most connections are bi-directional; we can read and write data on-the-fly to your systems as needed! Adding a new connection is easy too. Just choose which system you want to add, enter corresponding authentication and follow the instructions.